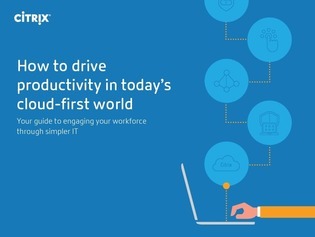 As today’s modern workforce demands anytime, anywhere access to user-friendly, cloud-based services, the center of work is shifting to the cloud. But managing a proliferation of apps scattered across clouds and data centers is unwieldy, increases your security risks, and puts a strain on productivity. Download this white paper to discover how a secure digital workspace can solve these challenges and increase visibility and simplify management of all apps, desktops, data and devices while giving employees the unified experiences they need to be productive.